Mill Brow Farm Cottage Self-cateringMill Brow is a Lakeland farm dating from circa 1650, situated at Skelwith Bridge, gateway to the very scenic Great Langdale valley. 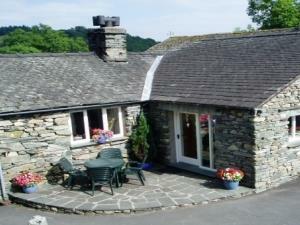 It is 2.5 miles from Ambleside just off A593. The farm is surrounded by 35 acres of land with a small herd of cattle.